Welcome to the JVNP 2.0 Update featuring a primary JV request courtesy of fellow JVNP 2.0 Partner Tom Cronin (The Stillness Project – meditation event – affiliate program JV invite), Buzz Builders (Peter Roszak – VideoMakerFX launch, Steve H + Mike S – The Commodity Robot pre-launch) and More … in Today’s residual streams of consciousness edition. Hi, Fellow JVNP 2.0 Partner! I’m Elisha “Lish” Carroll and I manage the partner program for The Stillness Project. I would like to invite you to join our Journey in what is going to be a blockbuster launch as well as what is gearing up to be the single largest meditation event in history. You’ll get 50% commissions on both the $197 front end AND on the upsells and continuity product. Your earning potential is a whopping $156 per sale, in addition to those residual commissions from our continuity offer! >>> In a hurry? Visit the Stillness Project JV page for all the details. 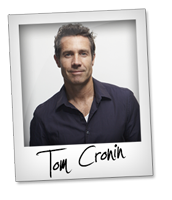 Tom Cronin is a Global Meditation Authority, Teacher, Life Mentor and Author. As a co-creator of Science of Stillness, he has touched many lives by making the meditation techniques that have changed his life available to everyone. All of this past experience combined has led to his vision for The Stillness Project. The launch will consist of 3 content-rich videos leading up to a live webinar where Tom will guide 1 million people through his meditation techniques. At the end of this world-changing event, he’ll invite everyone to join his course, “21 Steps to Faster Deeper Bliss”. If you’ve ever worked with Tom, you know that the combination of his knowledge and his charisma is webinar GOLD! And that means BIG conversions and even BIGGER commissions for you! Mark these dates on your calendar now! In addition to the commissions you’ll earn, we want to reward you EVEN MORE for all of your support! 1st Place: An all-expense paid, life changing trip to the mountains of Ubud, Bali where you will join Tom Cronin for a 6 day ONE Life Retreat. >>> Check out this great video from Tom outlining the key points of the launch and sign up here. June 5th is right around the corner and we don’t want you to miss out on anything along the way, so let me know if you’re in, and we’ll be sure to get you anything you need to make your promotions successful. Exciting new video creation software designed for marketers! Create whiteboard, character, video sales letters and all kinds of videos in just minutes! Join us for this epic launch of over $2500 in prizes and a proven sales funnel. Click the (JV Invite Page) link to check it all out! Launch Temporarily Postponed … Please Register To Be Notified Of New Dates. Set your PayPal accounts ringing by promoting an issue that strikes right at the heart of EVERY wordpress user. Ever evolving Internet laws require the display of compliance pages on any website that sells online. Compliance Bar is the ULTIMATE solution! Promote this….your subscribers will love you for it! Joey Xoto, Sam Bakker, Josh Ratta + Rohit Shah, John Racine, Patric Chan, Amish Shah, Chris X, John Pearce, Christian Fea, Greg Jacobs, Matt Wolfe and other fellow JVNotifyPro 2.0 partners are waiting in the wings … keep your eyes on your Inbox, and follow the action in the JVNP 2.0 Premium VIP JV Announcement archives.